Most people associate whiplash injury with car accidents and this is certainly the most common cause. Typically, when hit from behind by another vehicle, your head is thrown forward and then forcibly whips backwards into the head rest. A similar mechanism can occur however during a skiing fall, particularly if you fall down the slope and onto your back. 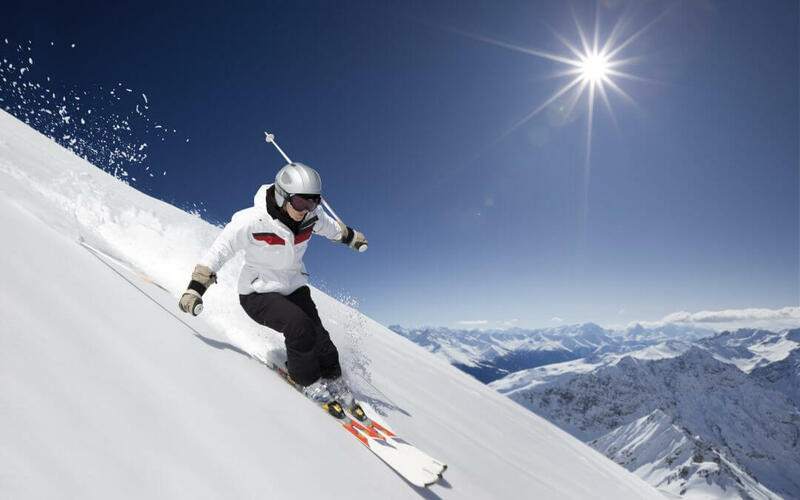 Your upper back impacts the slope first before your head gets whipped backwards onto the snow or ice. What happens to my body during whiplash? During this backwards motion, know as hyperextension, the small facet joints at the back of your neck become compressed against one another which can lead to pain and swelling. The natural reaction is for the muscles at the front of your neck to contract as a reflex bracing motion. During this phase you may sustain muscles tears or strains which can result in bruising and pain. Ligaments in you neck can also become overstretched or sprained, they are sensitive structures that may take up to a year to heal fully. Strains and sprains can sound innocuous but should be treated respectfully and with a detailed physical assessment and a suitable rehabilitation programme. What if things are more severe? In extreme cases of whiplash, it’s possible to sustain neck fractures and concussion. If you are in severe pain and display any of the following signs, you should be assessed by a doctor who will perform a neurological examination and refer you appropriately for x-rays and/or scans. This all sounds dramatic and quite frightening, we know. Before you rush to cancel your skiing holiday however, read on. Much more common is neck strain, with some similar but less severe symptoms to whiplash; pain in the neck, shoulders and between the shoulder blades. These symptoms usually resolve in a few days but you may need to take a day or 2 off skiing. You should keep yourself mobile with gentle neck and shoulder movements. If symptoms persist after you return, come and see us. We’ll look at your neck mobility, perform muscle tests plus a neurological examination and provide you with appropriate treatment and home exercises.